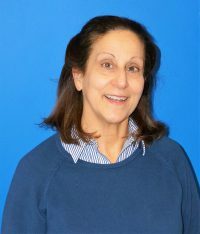 For over three decades, Mary Sue (Anter) Tanis has been on a mission to help improve the health and quality of life for children with physical disabilities by providing opportunities for them to have fun through physical and social activity. Begun as a volunteer, grassroots entity in 1976, Youth Challenge has expanded its activities to service children in six Northeast Ohio counties. Prior to founding YC, Mary Sue worked for the Golden Age Centers of Cleveland as the Center Director from 1978 to 1983. She was the Assistant Director of Camp Cheerful in 1978 and was a ski instructor in Vermont from 1975 to 1978. Mary Sue is a Certified Fund Raising Executive (CFRE). She received a Bachelor of Science degree with an emphasis on recreation for students and veterans with physical disabilities from the University of Colorado, Boulder, in 1975. Mary Sue has also completed executive education programs at Case Western Reserve University, Cleveland State University and Baldwin Wallace College. She is a 1972 graduate of Magnificat High School in Rocky River.